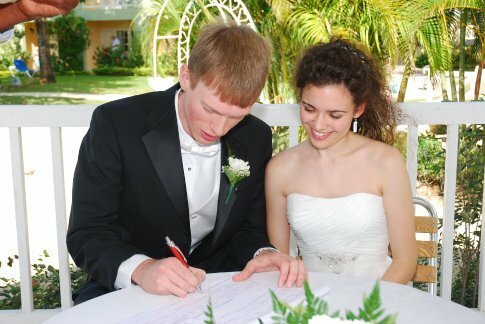 Signing the wedding certificate after the ceremony. It's offical, we're married!! !